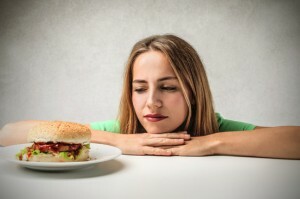 Why do most people fail on a diet? 1. Failing to become fully informed about the diet they are choosing. Oftentimes, the decision to go on a diet is an “off-the-cuff” one. What causes this sudden, impromptu decision? A whim, a sudden burst of motivation, or maybe media highlights of some new diet plan or another, or an endorsement by a high profile celebrity for some plan or another. Here’s the bad news; just because Oprah or Dr. Oz or Kim Kardashian is gushing on about some new faddish way of eating or dieting, doesn’t mean it’s the right program for you. I’ve written about this before on this site, but diets are extremely personal things; in order to adopt one that you can stick to over the long haul, you need to ensure you choose the one that best addresses your unique situation. In other words, you need to roll up your sleeves and do your research before jumping aboard the newest diet fad bandwagon. 2. Failing to adopt realistic expectations and give it time. This one’s pretty self explanatory; you didn’t gain all the weight in a week, so you sure as heck can’t expect to lose it all in a few days. If you want to achieve long term success, you want to be averaging a pound or two of weight loss per week. That means it could take you 5 months to lose 20 pounds, and 10 months to lose 40 pounds. Without a doubt, this is one of those races that goes to the tortoise, not the hare. 3. Failing to integrate a “realistic” exercise program. 2. Have no access to a gym. … this isn’t something that is going to work for you. You’d be far better off to adopt something you can do (and if possible, enjoy), because in all likelihood, you will stick to it. If all else fails, walking 30 minutes twice a day (or 45 minutes once a day) is a good fall-back plan. 4. Failing to implement a detailed plan. 1. Cleaning out the cupboards of any “temptation” foods. 2. Stocking up on healthy alternatives, as recommended by your selected diet plan. 3. Confirming the baby-sitter’s availability to stay late Thursday nights so you can attend a class at the local gym. 4. Scheduling blocks of time for exercise. 5. Purchasing a notebook to use as a diet journal. I’ve found that when people get motivated to lose some weight, they want to get started NOW. That’s both admirable and understandable, but usually when this happens, planning goes by the wayside. Take the extra day or two to get everything ready to go before you begin. This short delay will pay great dividends later. 5. Failing to become educated about calories and serving size. You need to have some perception of how many calories are in the foods you eat, and what constitutes a reasonable serving size. The caloric value of many foods is deceptive, and we often end up eating more than we should, even when we think we’re being conscientious. So regardless of what diet plan you adopt (unless it’s an extreme low carb plan, where it’s less important to worry about calories), it’s important that initially at least, you measure some of your foods until you have a good feel for what a serving “looks” like. Then 3-4 weeks into the diet, you may want to do this again, to ensure your servings aren’t gradually expanding. It’s also a good idea to have an idea of how many calories you burn during exercise. You’ll find it’s a lot less than you expect. Using a calculator like this one, plug in your data and see what you end up with. As an example, suppose I’m a 150 lbs. woman who spends 30 minutes on a stationary bike, I can expect to burn approximately 170 calories. If I then went out to treat myself for my hard work by having a Tim Horton’s chocolate glazed donut, I would be consuming 90 calories more in that donut than I burnt off on the bike (a chocolate glazed donut boasts 260 calories). Hardly worth the treat now, is it? OK… are you ready to start researching some of the top selling diet plans to find the right one for you? Here’s one that’s very popular with our visitors!